Call (928) 237-2271 or (970) 422-7161 for details and to reserve your space. My experience at Sedona Wellness exceeded my expectations. Lorrie knows the very best way to conduct a cleanse and I had complete confidence in all her treatments. They work! I would recommend her cleanse program to anyone who is serious about doing it on the highest level. The entire time I was at the retreat center I was thinking "Why is this not the most popular retreat center in Arizona?" It is on sacred land, private, surrounded by breath-taking views and hiking trails, cozy, beautiful, supplies great organic food and is staffed by the best practitioners anywhere in the world. GREAT place for any kind of retreat! -Giselle K.
I love getting massages and recommend it to all of my clients and guests. I once scheduled six massages at the same time for a retreat, and my guests told me that all six massage persons were outstanding. A favorite is Lorrie, who gives a super deep freeing massage. Whatever practitioner you get, I guarantee that you will be pleased. We met Lorrie years ago when searching for a massage therapist. We had just retired to Sedona and I had chronic back pain from 20 years of working in a hospital. I had been receiving massages for about the last 10 of those 20 years in an effort to help me deal with the pain. After my first massage with Lorrie , I knew that I had struck gold. She has an amazing reportoir of styles and techniques that, when coupled with her energy and passion for healing, has finally given me relief from years of pain. In addition to massage work, I have also had the opportunity to experience other modalities that Lorrie, an Ayurvedic practitioner, offers at her facilities. One of those offerings that I decided to do was a very thorough cleanse that required daily sessions for a week. She was very discrete, encouraging and sensitive to my needs. I felt completely comfortable throughout the process, and had a renewed sense of energy and health when finished. We have visited Lorrie at both of her facilities, Sedona Wellness and Pagosa Wellness. The facilities are clean and professionally run, yet warm and inviting at the same time. Lorrie is constantly challenging herself to learn new techniques for assisting her patients on their journey towards a healthier, more pain-free life. Lorrie is a teacher's teacher, a therapist's therapist, and I would have given her 10 stars had it been possible. -Linda H.
The Best Place for Health and Wellness! For the past several months I spoke with several clinics regarding my body wellness needs. I will admit it was a daunting task when I previously had one of the best in Doctors in the country. However, I am now residing in Sedona. Upon working within the community I kept hearing recommendations on the Sedona Wellness Clinic. I am glad I did my research and was lucky enough to find Dr. Lorrie Lawrence at Sedona Wellness. The building has the peaceful energy and ambiance of a ashram or monastery. It was very warm, friendly and welcoming. It made me want to hang out all afternoon. Dr. Lawrence has an incredible amount of experience in multiple healing methods. She is incredibly professional as well as the staff. It felt like she healed my neck pain from the inside out and at the end of the 60 minute session I experienced full relief and felt wonderful and charged with energy! I would highly recommend the Sedona Wellness Spa, in fact I will probably see you there! Loved this place and got best massage ever had and signed up for detox treatment too. I look forward to many more visits. Thank you for a great treatment! I have been more clear headed and able to get a lot of organizing/ cleaning out of stuff done since I saw you. Thank you for a great treatment! Still have some of the rash even though being much better about diet (95%) and taking Triphala, Shatavari, Probiotics and Mega Food’s Women Over 40 multi-vitamin.. My body continued to heal and detox for the next couple days after the Ayurvedic treatment. Especially that first night, my body was vibrating. It was powerful! My back Eczema or Psoriashas calmed down quite a bit. Have been at least 80% better. Would I recommend Lorrie Lawrence? YES! Lorrie is not only a beautiful, compassionate soul, she is without a doubt, the best healer out of all the modalities I have ever tried—and that includes allopathic medicine. I began seeing her because I have had back issues for over thirty-five years. Between scoliosis and three slipped discs, not to mention other injuries, my back was like a war zone. Massage therapy has been a part of my regimen for most of my adult life in order to help keep me upright, but Lorrie is not just maintaining me. She is fixing me! For the first time in years I can feel space between each of my vertebrae. Additionally, an old injury that caused continual pain during every waking moment of the last seven years of my life, vanished into the wild blue yonder, never to be heard from again after only our second visit. It’s not just my back she has helped me with either. On our first meeting, I was having difficulty breathing due to an issue with asthma and she cleared my lungs by pressing an acupressure point. Voila, like magic, I could breathe again! She has been a blessing to me and I am in deep gratitude to her. Would I recommend Lorrie Lawrence? Yes! Yes! Yes! I've been doing deep tissue massage for the last 36 years. Lorrie Lawrence's skills and variety in this area far exceeds any I've ever experienced! -John H.
As an avid Spa attendee, I am eager to find the latest and greatest of new treatments and practitioners. Lorrie Lawrence, who is an Ayurvedic Practitioner at Sedona Wellness who has a wonderful reputation here in Sedona, so I decided it was time for me to pay her a visit and see what she could offer to alleviate my state of mental chaos. I had no idea that the next two hours under Lorrie’s care and attention would create the peace I was longing for. Walking into Lorrie's space, which is in a private location on five acres with a trail to the river, I felt as if I was walking into an ashram in india or a meditation hall or a hip yoga studio. 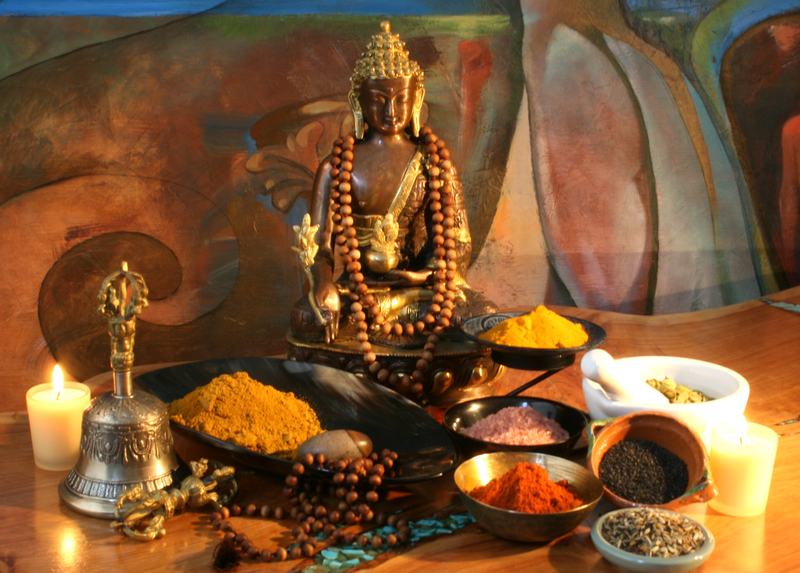 We sat down in her comfortable consultation room where we would chat for awhile about Ayurveda. Looking around I felt as if I was in an apothecary, with bottles of herbal oils and medical books. Once on the table, she began to massage with a warm coconut oil and then applied a cool dusting of the herbal clay powder to the skin which she began to rub into the skin, as a style of exfoliation but also pushing the healing clay into the pores to help with the cleansing. She asked "Do you know why you want to relax? Relaxation is a survival technique to renew, animals do this naturally, human's don't". As humans, we need help flipping the switch and we need to flip the switch in order to renew. This concept reminded me of something that one of Lorrie's primary teachers Dr. Deepak Chopra had said. In his classic book, Perfect Health, Dr. Chopra states that "Fear is the scenery you see when you are in a sick reality. If you change the reality, which is inside you, the scenery will change too." Traveling to Sedona to renew and relax, I was looking for somewhere out of the main town and it’s commercial district. A 20 minute drive got me to Sedona-Wellness in Clarkdale, an oasis of quiet where I could spend some time meditating, hiking along the Verde river, and having some treatments without worrying about crowds, parking and other busyness. The partners here have built a new and comprehensive center for wellness treatment and education. They offer yoga, Ayurveda therapies and other techniques. I was lucky enough to visit just before it was fully open and got to spend extra time just gazing at the beautiful surroundings from the hilltop they're on. There is a nice uncluttered feel to the building. Some treatment rooms open to the outside patio, a plus. I don’t have a lot of experience with massage, and am naturally a bit skeptical of new age-y cures, but while working on my neck, the pressure Lorrie, my therapist, applied opened channels that spread relief through me from neck to feet. She is a fascinating person and someone who cares deeply about the work. I hope to return someday. It was an experience worth sharing and repeating. One note, do NOT confuse Sedona-Wellness, with “Sedona Wellness Retreats” in the town of Sedona. They are more visible on the web, but i know little about them.